Let we encircle here some beautiful achievements that have been done all to enjoy the outdoors! Build friendly benches for your outdoor and do paint them in several different shades if you want to give colors to a specific outdoor area! Build amazing patio, garden and gazebo sofa sets out of pallets through simple stacking of them checkout the ideas below to grab more tips and tricks in this case! 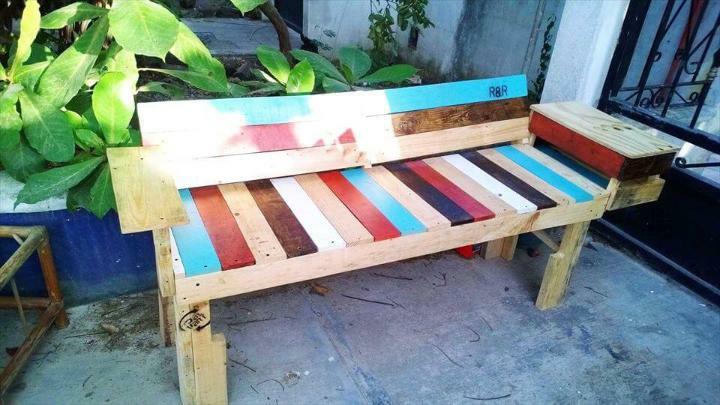 Build dual functional pallet benches, pallet garden swings and also the super comfortable outdoor loungers or poolside chairs which are always a pleasure to sit on and to catch some rays and scenery all around! 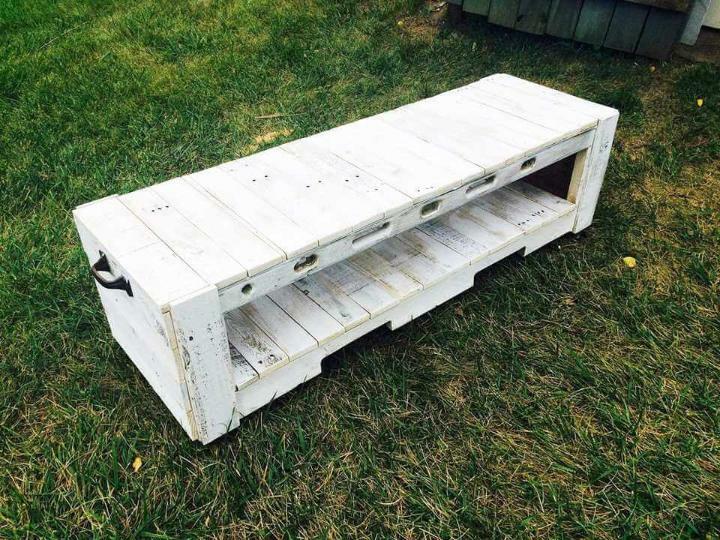 Use pallets for old furniture refurbishing and repairing, a chair with metal base is a good example here! Build pallet fireplaces and media consoles and just with great ease the put your life on a more functional track without getting expensive! Let the pallets manage and organize your messy collection of things by getting converted into chest of drawers, dresser tables and shoes racks! Once you start working on pallets, there will be never ending ideas for your to tryout at every weekend! Please your aesthetic senses by putting a glance at this rainbow bench design! 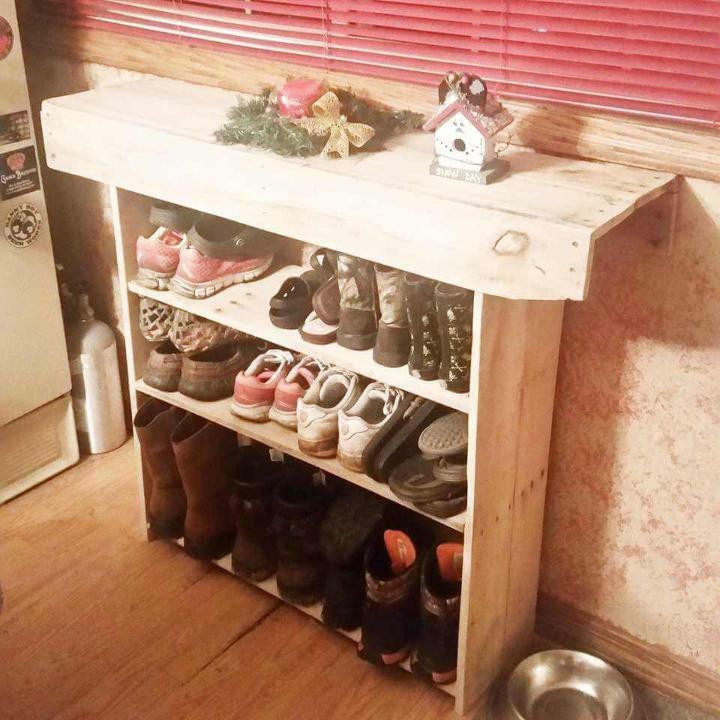 Installed by creative and tight packing of painted pallet planks, has a box at one end to hide or store some personal tools! 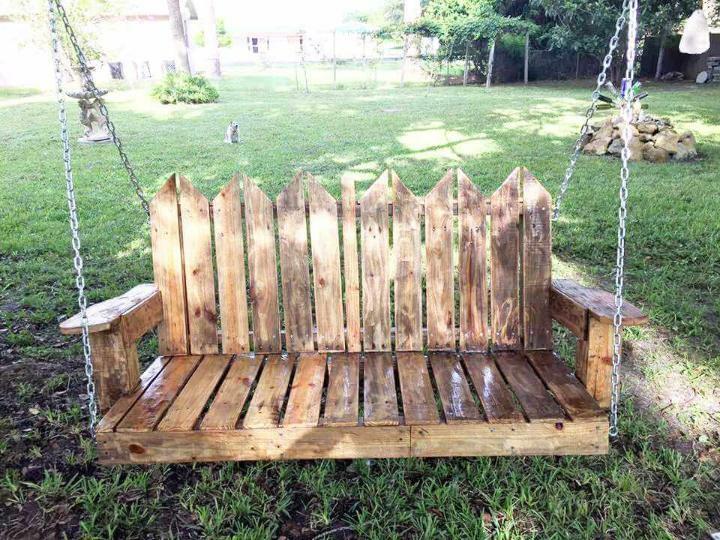 Pallet-made seats can also be hanged with some aloft supports to obtain them into beautiful pallet swing just like this bench swing, having a patterned backrest for a glorious eye-catching look! 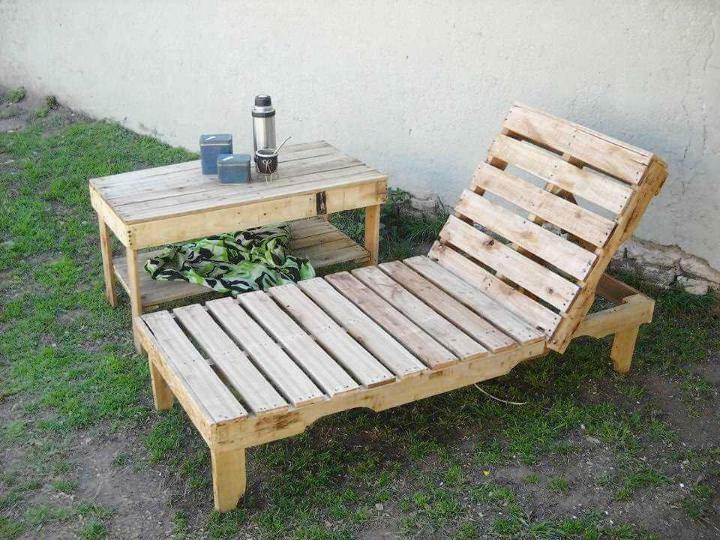 Have you ever thought that pallets can make amazing porch or pallet patio furniture sets for you? If not yet, then this set is here to boggle your mind! Amazing sectional sofa with a coffee table and multiple cushioned seats, would be best to create a big family gathering for longer gossips! Restructure the pallets into this compact size of bench which can also make a beautiful media console if placed in your living or media room as it comes with a shelf underneath which can be targeted for respective media storage! 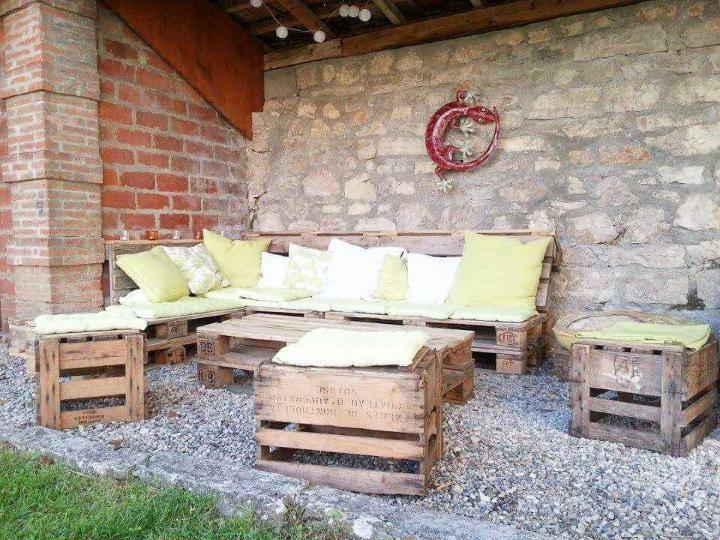 Build amazing outdoor and poolside furniture out of pallets, make some creative modification into original pallet boards and gain beautiful loungers out of them as shown here, raised on short but stable wooden legs! 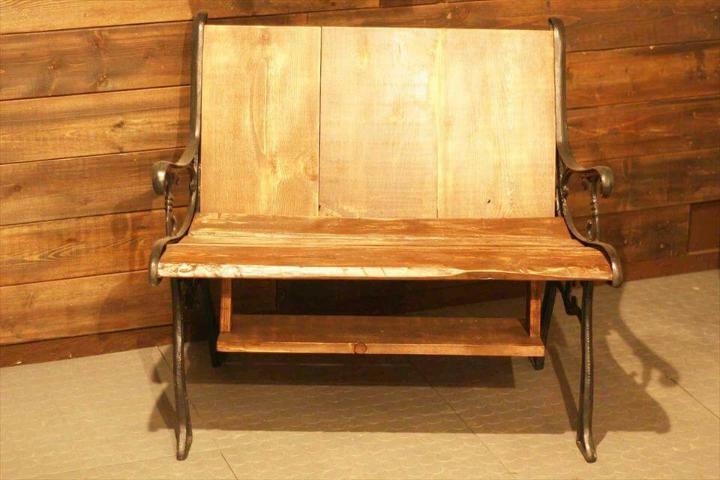 Pallet wood provides amazing tips to refurbish your old furniture pieces, here a crumbled metal frame has been regained into a beautiful chair by getting repaired with pallets! Enjoy cool pallet stuff by packing the pallets into new dimensions! 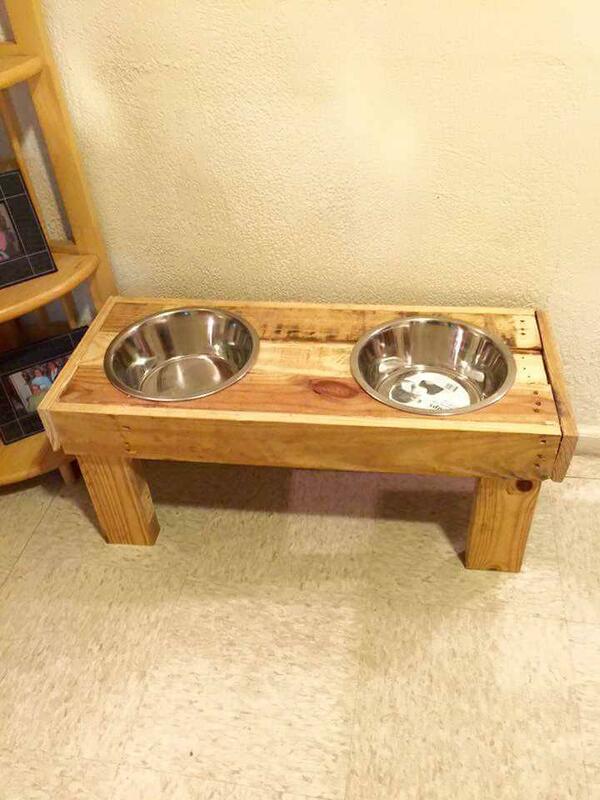 Get this dog bowl stand, a perfect no-cost feeding station to feed your cats or dogs! 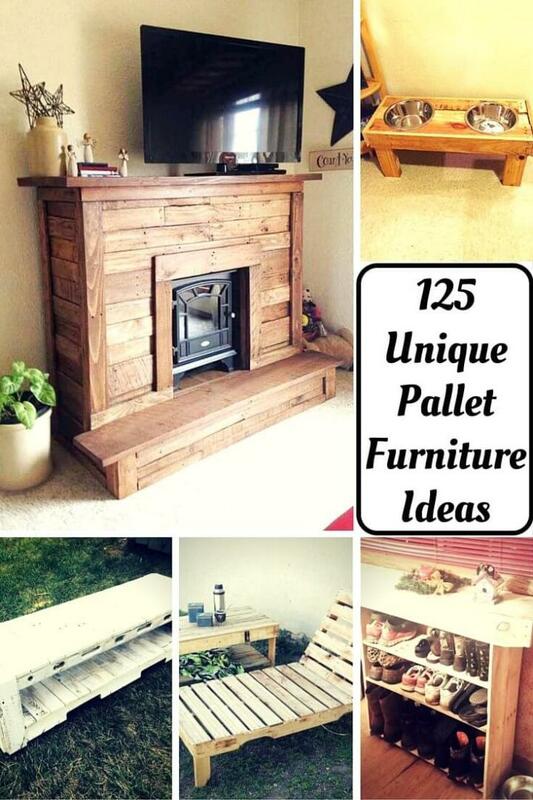 Think out of the box and plan the pallets for some bigger innovative projects like to install a fireplace out of them! 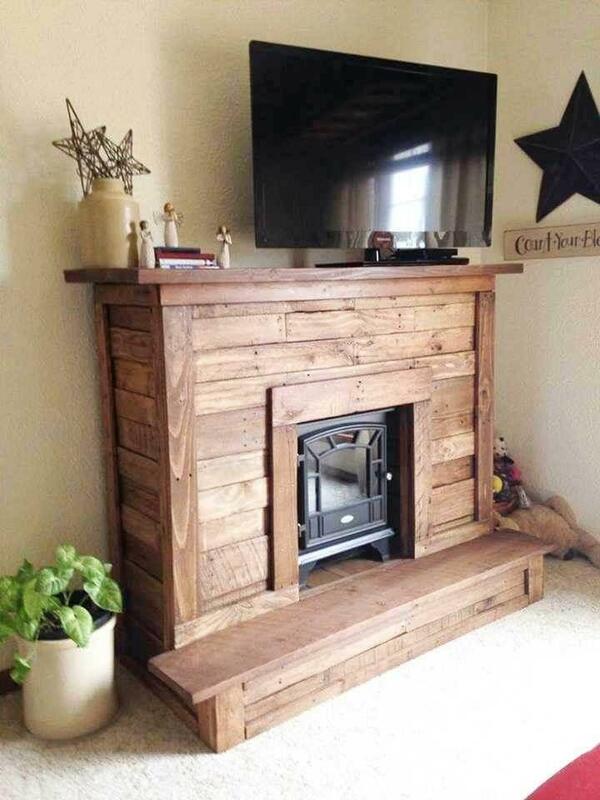 You can gain amazing tips from this given layout of pallet-made fireplace which also serve as a media console at the same time! Let the pallets organize your home clutters and messy piles of things in a great way! To let the shoes storage an enjoyable activity for your, you can simply build this shoe rack, having a pleasing layout and would also be convenient to display entryway decors! 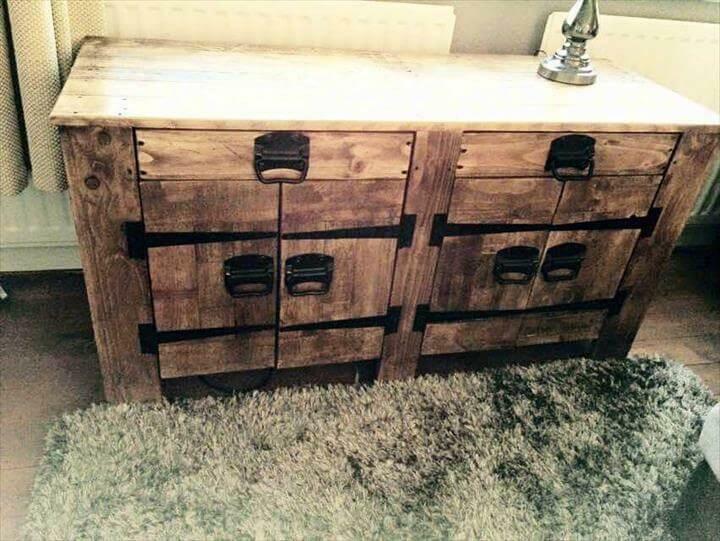 Get amazing plans here to build side boards, dressers and cabinets out of pallets! By copying the same construction method but with large scale implementation, one can also target the wardrobes, cupboards, closets and bigger shoes racks out of pallets!